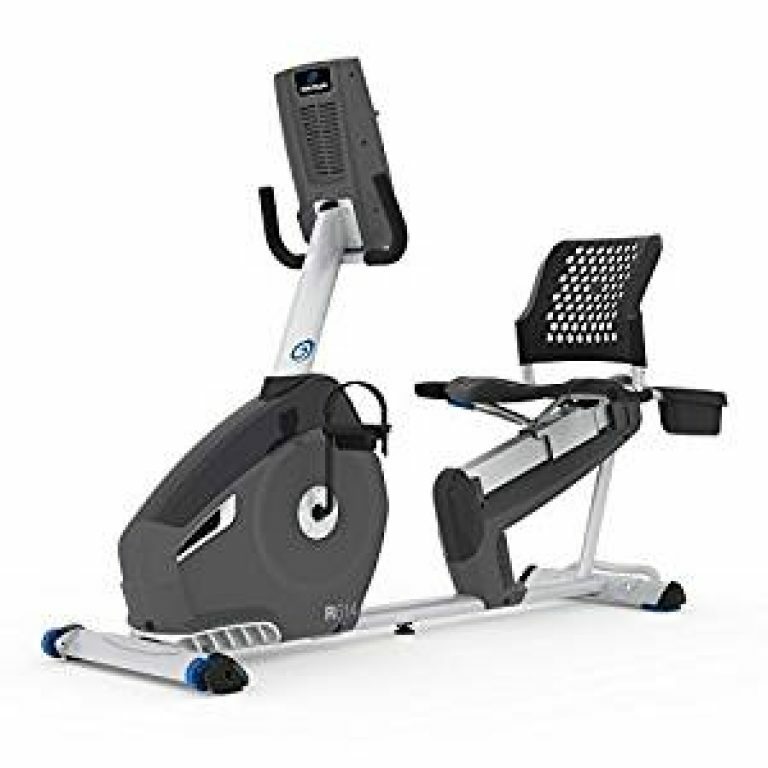 If you are looking for a good entry level upright exercise bike, then Xspec Foldable Upright Exercise Bike might be the perfect choice for you for various reasons from its adjustable magnetic resistance system to a great seat and of course the folding features. Let’s take you through the point-by-point review of the Bike’s features to help you decide easily. The Xspec Foldable Upright Exercise Bike is easy to assemble making it a great choice. You would just have to assemble a handful of the big parts as most of it already comes assembled in the box. It comes with all the tools, parts as well as instructions required to put it all together which is quite straightforward. The assembly should take more than 45 minutes which can be reduced further if you have a friend to help you out. Also, if you don’t want to get it assembled yourself, you can always get the help of the expert for an additional cost. One of the features that we really appreciate about the Xspec Foldable Upright Exercise Bike is that it is light-weight and is very compact. So, it is just the perfect bike for anyone looking for a compact upright bike which is easy to move around and doesn’t take much of the space. Also, the foldability feature makes it great for easy storage without taking up much space. 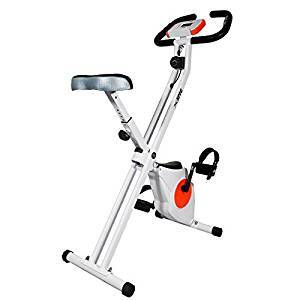 Another feature that makes the Xspec Foldable Upright Exercise Bike great is that its frame has been made from 14 gauge steel. The outstanding material makes this very upright bike an extremely durable one. Its legs and feet are long as well which make it fairly stable as well as comfortable while riding. It is the ideal for people who weigh under 220 pounds. Another remarkable feature of the Xspec Foldable Upright Exercise Bike is that it has an adjustable and reliable magnetic resistance system. The resistance levels can be easily changed using the tension dial for quick adjustments. However, we don’t like the fact that it is undefined that how many different resistance levels can be achieved using the bike. As it is mentioned nowhere among the features of the bike on exactly how many different resistance levels it can achieve. A decent LCD display is also included with the Xspec Foldable Upright Exercise Bike which renders it even more useful. The screen can show you the fitness metrics including time, speed, calories, distance, and much more. Also, the handlebars come with a touch heartbeat sensor which is used to display the heartbeat on the LCD screen. The seat and handlebars of the Xspec Foldable Upright Exercise Bike are designed around the comfort of the user. These are well-padded to provide extra softness as well as prevent your hands and back from soaring from all the working out. The seat comes with an adjustable feature to make it suitable for multiple users. The pedals come with a great gripping pattern, are large and accompanied by straps as well. All these features in the pedals enhance the user-friendliness of the Xspec Foldable Upright Exercise Bike. Although the Xspec Foldable Upright Exercise Bike comes with a strong 14 gauge steel frame, it is not able to handle weight over 220 pounds. In short, while having an outstanding frame, the bike is not able to handle users over 220 lbs. which is considered a drawback of the bike. The Xspec Foldable Stationary Upright Exercise Bike comes with transportation wheels which make it convenient to move around. It has a compact size and the foldability feature makes it easy to store it in lesser space. The bike offers great value for the money and is affordable for the features it offer. It provides a very smooth ride due to the counterweights and straps on the pedal. The bike has a very little weight capacity and can’t be used for people over 220 lbs. which is considered a drawback. It doesn’t has a flywheel. The resistance levels of the bike are not defined so you are never sure of the resistance level you are working out at. The Xspec Foldable Upright Exercise Bike is a great option when it comes to an entry-level model. It comes with a magnetic resistance mechanism for adjusting the resistance smoothly, although the resistance levels are not clearly defined anywhere. The frame is fairly durable and strong which comes with a good computer model which include measuring of the basic metrics along with heart rate monitoring etc. 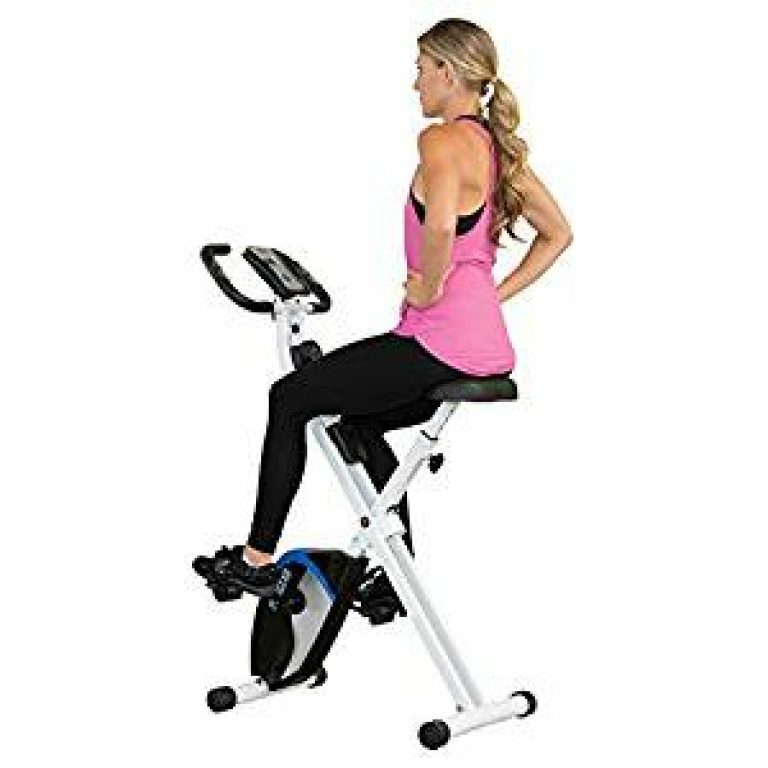 in short, it is a compact and comfortable model of the upright bike which is amazing for the beginners to be used from low to moderately hard cardio workouts on regular basis.